In this video Jerry tells us about...oh wait a minute? That is your job! It's time to share your answer from step 8 of "It's English Time". 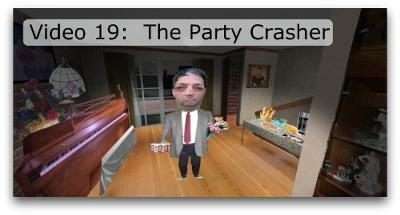 Give your description of "video 19: The Party Crasher" using as much new vocabulary, expressions and phrasal verbs as you can.